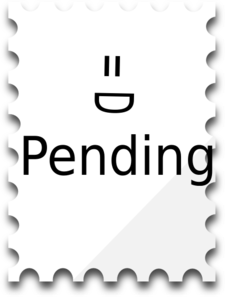 I was getting Pending Email message in my CRM 2013 DEV environment. I managed to ignore this for about a week until today where the message seemed to take a paper-clip quality and get really annoying. I thought I would update the process to make sure it still worked. I write better blogs than Hosk of 2012, so I will be able to follow this blog easier in the future. This message is warning the user they have an email with the status Pending Send. How do I find these pesky pending emails? To get rid of the message you can delete the pending email messages. This can happen in a Dev environment where you don’t have an email router or Outlook addin running, it means you have tried to send an email but CRM doesn’t have any method to send the email (CRM doesn’t have any inbuilt email capability it delegates all Email sending to Outlook addin, email router or service side sync). 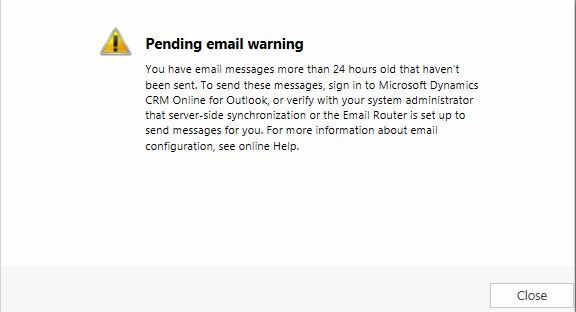 Remember this will stop the pending email warning for all organisations deployed on the CRM server. If you are in a production environment you need to find out why emails are not being sent, is it because the email router has stopped working or a the Outlook plugin has stopped working/disabled. Sometimes it can be due to the service account used in the email router has either been deleted/disabled or the password has changed. It sounds like you need to setup the Email router with the correct permissions for the relevant users. You can add more details about the error and what you have done. 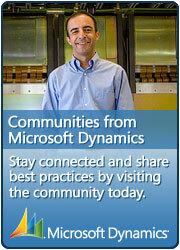 Lots of CRM experts will read your question and give you some advice to help resolve your problem. All for free! Raise a new question and people will answer it. Not only will lots of people look at the questions but probably with someone who has experience setting up CRM email router with google gmail. Thanks heaps mate.. finally some decent and clear solution..
Is it possible to remove the e-mail which caused this message ? If Yes , where can i find this?